Box extension / spacer 10mm for single 88mm sq plates. York AV | Boxes | Single Gang (86x86) | Box extension / spacer 10mm for single 88mm sq plates. 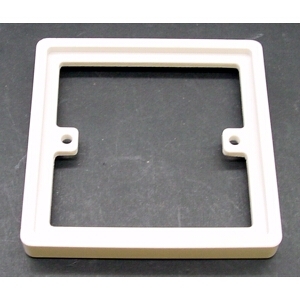 Single gang 10mm spacer which provides greater clearance for installation wiring where shallow mounting boxes are used.